CREATING SUCCULENT FREE-RANGE ROAST CHICKEN WITH LOTS OF LOVE - FROM OUR FAMILY TO YOURS! 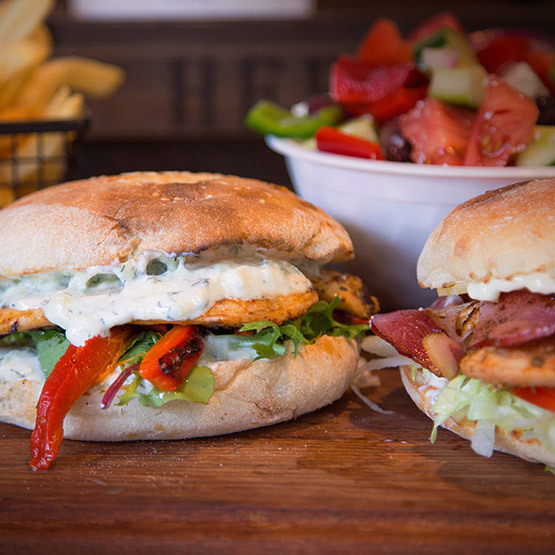 PREMIUM FREE RANGE CHICKEN, BURGERS AND SALADS – PALEO FRIENDLY, GLUTEN FREE AND HEALTHY! 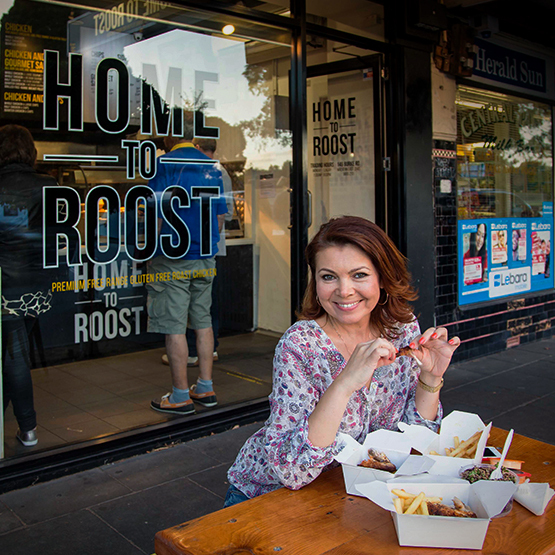 At Home to Roost we pride ourselves on bringing you home-style cooked meals. We area 100% family-owned and operated business, so each and every chicken is made with love – just ask Ange, our CCO – Chief Chicken Operator! All our chickens are hand seasoned and prepared, then marinated for a minimum of 24 hours and our burger fillets are are prepared with our special family recipe marinade. Our gourmet salads are made from unique hand selected recipes to cater for all your dietary needs. Direct from our Family to Yours! Check out our mouth-watering menu below. 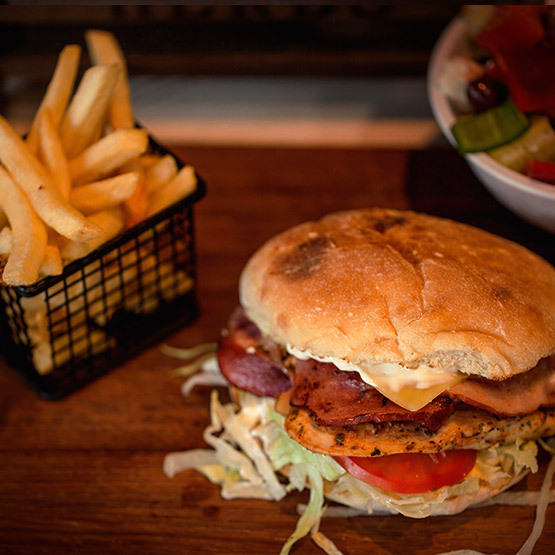 We highly recommend our succulent chicken burgers and generous family dinners. Our HTR burger is a huge favourite with our regulars. We also cater for Paleo, gluten free and health conscious individuals. 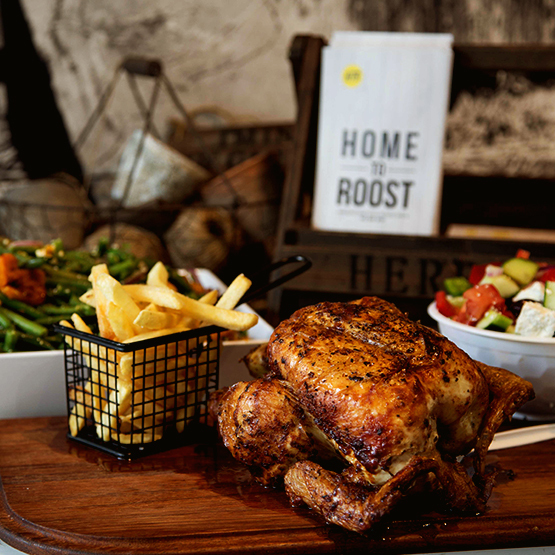 Our roast chickens are free-range & gluten free! Want to save time and impress your friends or colleagues at your next event? "Tasty roast chicken accompanied by amazing salads. I found this little chicken shop packed a punch with its food and service. I would recommend highly for taste, value and as a healthy choice." 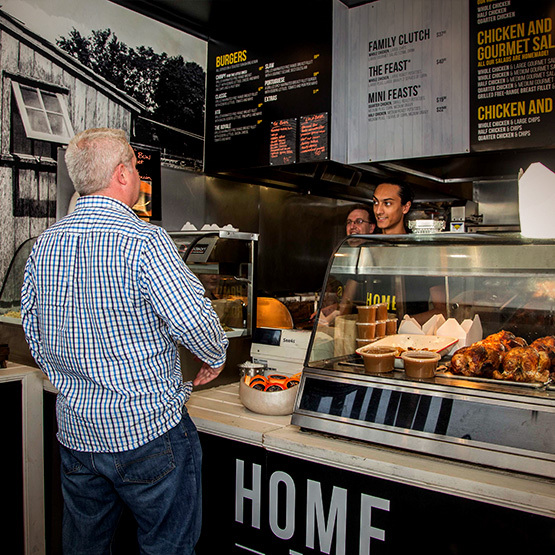 "Not your Ordinary Chicken Shop - Extraordinary! Love what these guys have brought to this little strip. Quality and a great variety of interesting salads. The chicken is well - what can I say... Clean, subtle & refined flavours! The look of the shop is so cool and clean." "This is the best roast chicken I have ever had in my whole life! I recommend this place to everyone and will definitely be back! Thank you to the very kind man who served me tonight, even though he was closing up the shop." "I am pleased to be one of the past customers and was concerned about the new image of the shop. But walking into the shop and seeing the same old faces with all the big smiles well I was happy. Chicken is even better than before. Well done re-branding its great!" We are proud sponsors of East Malvern Knights Junior Football Club and De La Salle Old Collegians. Use a below form to enquire about sponsorship for your next event. Call us to order your succulent free-range chicken meal now.